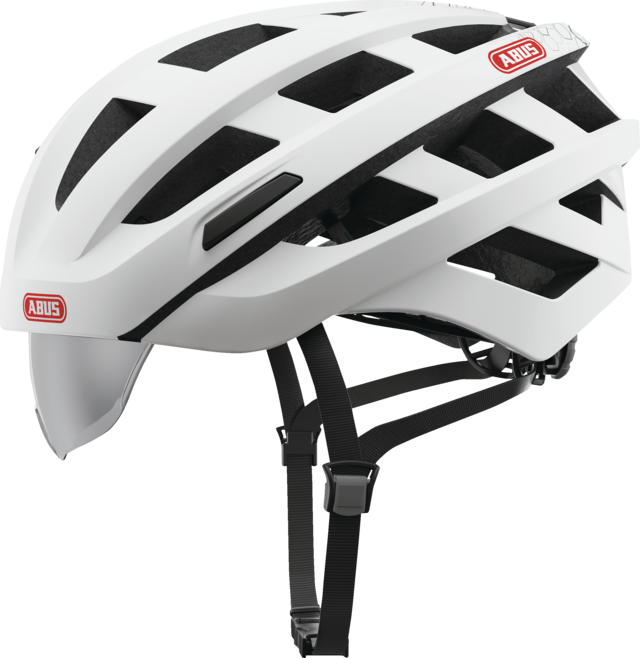 The In-Vizz Ascent is a unique bicycle helmet with integrated and fully retractable visor for sportive, but also for urban bikers. The road helmet In-Vizz Ascent stands out through its modern and sporty design in connection with an integrated and fully retractable visor. 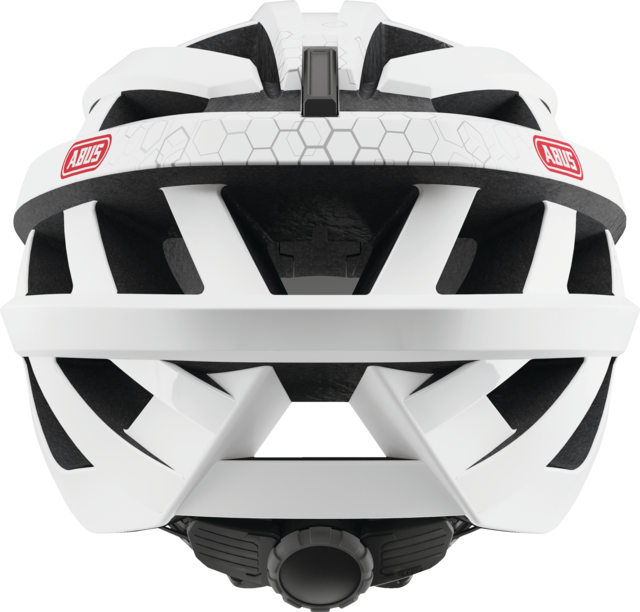 If you have forgotten your sunglasses again,it's no problem with the In-Vizz Ascent. 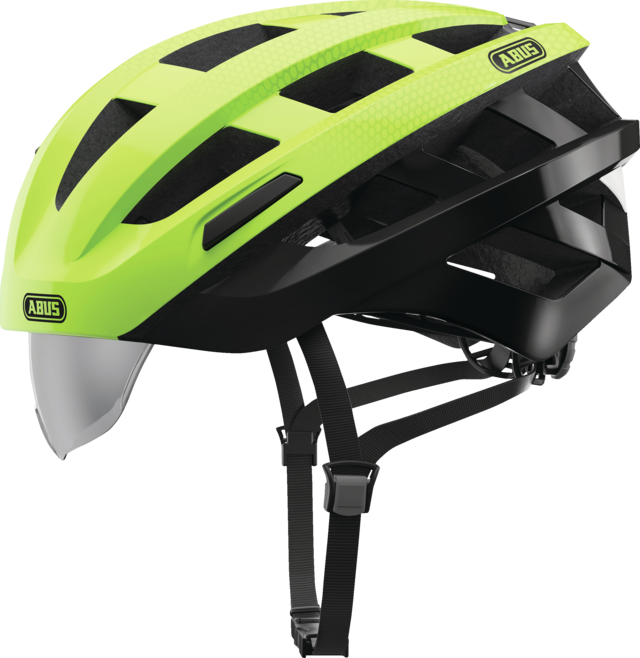 Thanks to the practical one-hand operation, the visor can be easily retracted and extended even while riding. 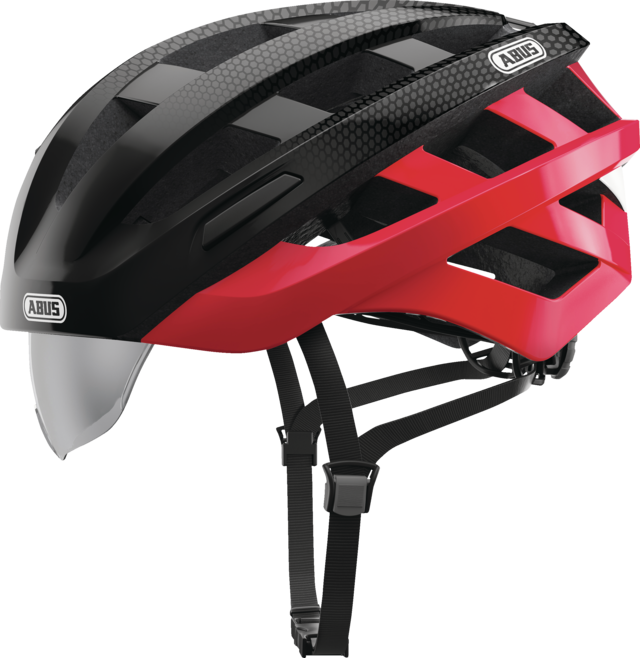 The visor, made of highly impact-resistant polycarbonate, can be adjusted according to your wishes. 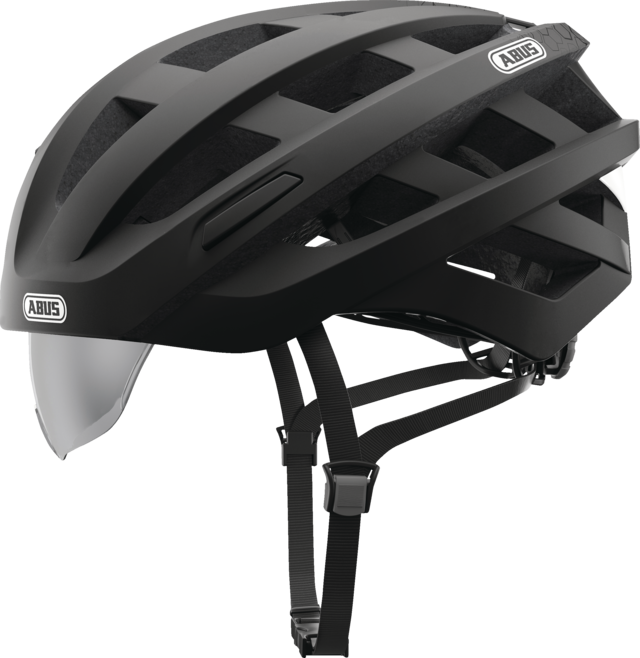 Thus it offers comprehensive UV protection and protects the rider from annoying wind and insects. 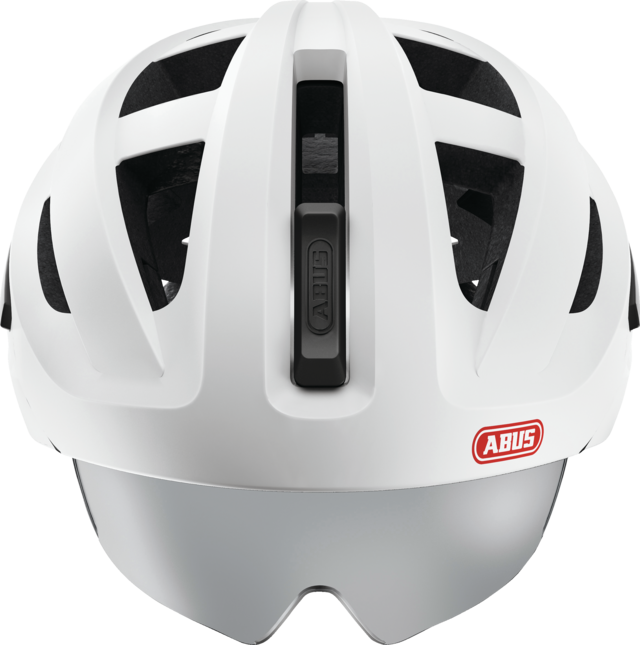 A very special piece of equipment, especially for glasses wearers and all who want to protect their eyes safely.